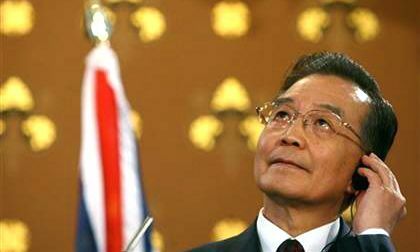 CAMBRIDGE, England — A protester threw a shoe at Chinese Premier Wen Jiabao and called him a dictator as he delivered a speech on the global economy in England on Monday. The shoe missed Wen, landing about three feet away from him. The protester was sitting in the crowd and threw the shoe after standing and shouting, "How can you listen to this unchallenged?" The protester, who was held by university security guards, blew a whistle and then shouted, "How can the university prostitute itself with this dictator?" Wen hesitated for a few moments before continuing speaking. University officials bundled the protester out of the building and security guards fanned out across the stage. 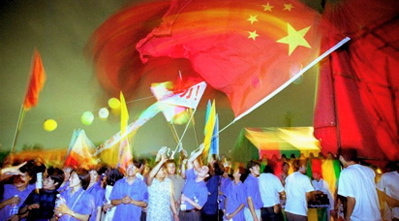 After the protest, Wen continued his speech, saying: "We come in peace. 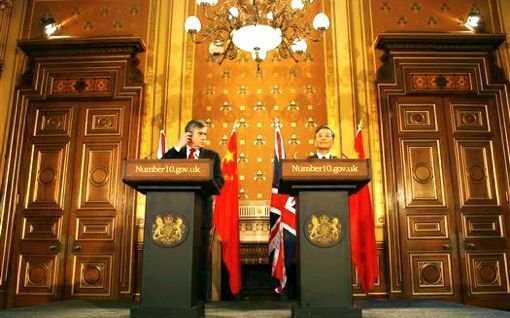 This is not going to obstruct China-UK friendships. History shows harmony will not be obstructed by any force, so would you let me continue." Police said the man, who has not been identified, was arrested. 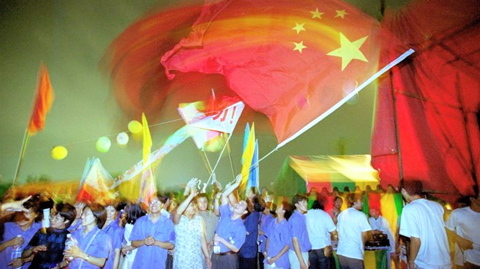 About 80 people, both supporters and critics of China, had earlier gathered outside the venue. Also groups of anti-China protesters, including pro-Tibet campaigners, have followed the Chinese premier during his visit to Britain. 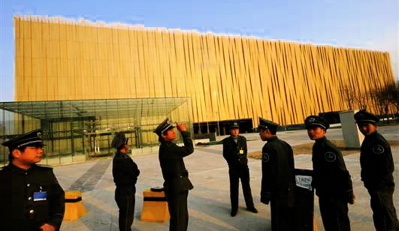 However, there was a large police presence in the city and security guards within the building. However, there was a large police presence in the city and security guards within the building. 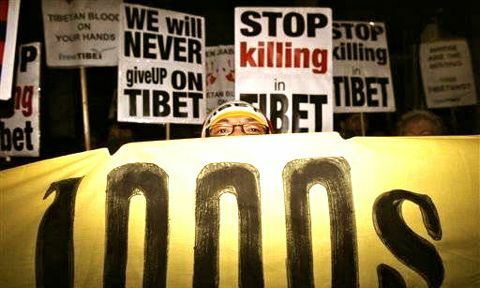 On Sunday, police arrested five pro-Tibet demonstrators after they broke through police lines as Wen arrived at the Chinese embassy in London. 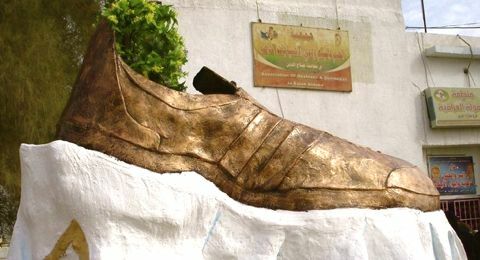 The incident follows a similar one on Dec. 14 when an Iraqi journalist threw both his shoes at then President George W. Bush during a press conference in Baghdad. Melamine has been found not only in milk, but also candy, buns and carton milk sold to other countries and regions, unleashing fear in markets already shaken by a string of "made-in-China" scandals last year. As of Thursday, FDA testing of milk-based products imported into the United States from China had not found any melamine contamination, an agency statement said. 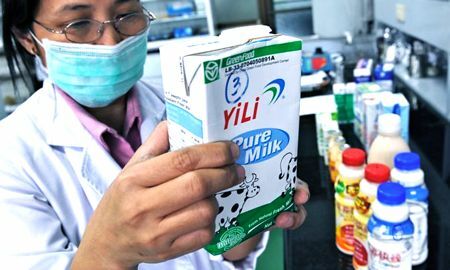 Melamine, which can be used to cheat quality checks by mimicking food protein, has been found in infant formula and other milk products from 22 Chinese dairy companies. 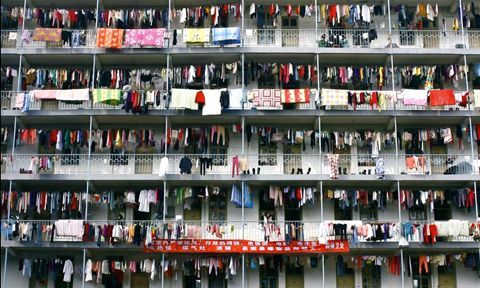 The Chinese government has been scrambling to show it is tackling the problem. 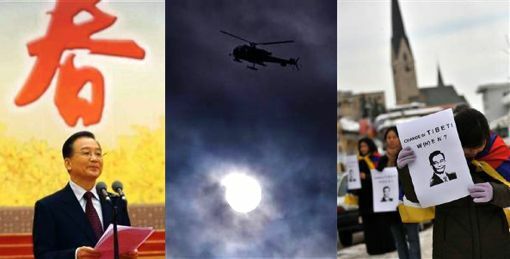 In recent days, the government announced high-profile arrests and forced resignations of officials. An investigation into the contamination found Sanlu received complaints about its infant formula as early as December 2007 and covered up the problem for months, state media reported earlier this week. Several calls during the day were answered by temporary workers in the company’s media department who took down questions but said it was up to senior company officials to decide whether to reply. 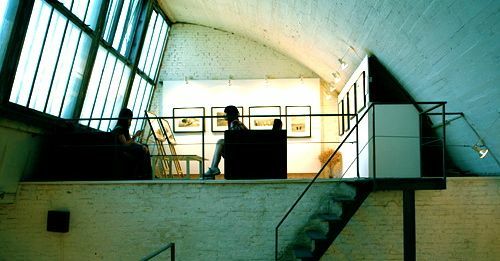 Sanlu is based in northern China’s Hebei province. The dairy at the center of the scandal, Sanlu Group Co., will not be able to recover from the damage it has suffered to its reputation, its New Zealand partner said Wednesday. 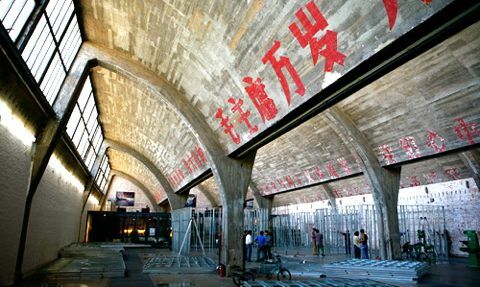 There was no immediate response Wednesday from Chinese headquarter of Sanlu. Meanwhile New Zealand’s Food Safety Authority recalled White Rabbit candies after tests showed they contained dangerously high levels of melamine and advised people not to eat them. “This product contains sufficiently high levels of melamine which may, in some individuals, cause health problems such as kidney stones,” deputy chief executive of the authority, Sandra Daly, said in a statement. 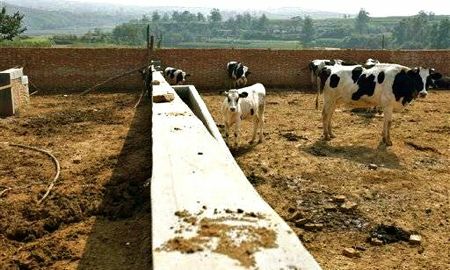 An U.S. official said China’s troubles with contaminated milk highlight the need for better enforcement of product safety standards in manufacturing. “The melamine situation just underscores the message that we are trying to deliver, and that is you have to know what’s coming into your factory and what’s going out of your factory,” said Nancy Nord, acting head of the U.S. Consumer Products Safety Commission. Continued from the previous issue — In New York Wednesday, China’s premier sought to ease the growing concern abroad over the growing crisis over Chinese food exports by vowing to strengthen product safety checks and meet international standards. 10. Calls for international regulation at U.N.
"China needs to better enforce checks at every stage of production and step up efforts to protect consumer interests," Premier Wen Jiabao said on the sidelines of a meeting of the U.N. General Assembly. 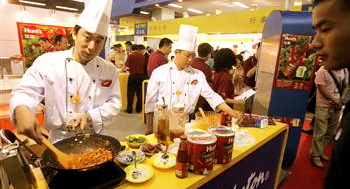 “We want to make sure that our products and our food will not only meet the domestic and international standards, but also meet the specific requirements of the import countries,” Wen said at an event organized by American organizations. Speaking in China, where U.S. and European officials were attending seminars on product safety. 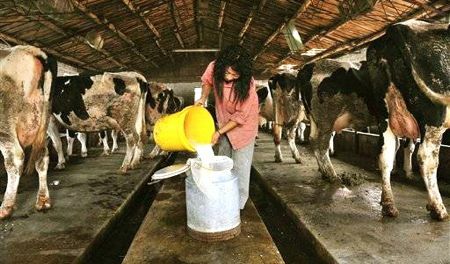 Suppliers trying to cut costs are believed to have added it to watered-down milk because its high nitrogen content masks the resulting protein deficiency. 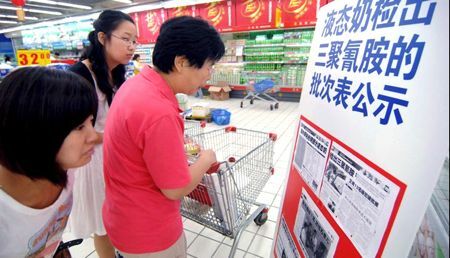 Chinese government issued a public apology to consumers in Taiwan as the island’s president, who won March elections on a platform of closer economic ties with the mainland, blasted Chinese milk producers. “I condemn the mainland manufacturers that have produced fake milk and dairy creamer,” Ma Ying-jeou said. 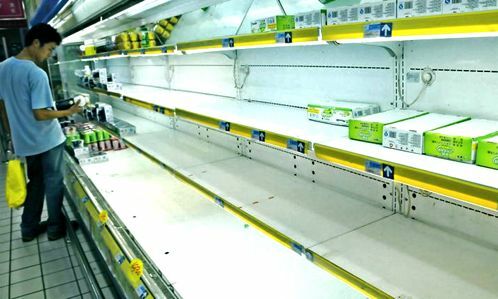 Authorities there ordered 160 products containing Chinese milk and vegetable-based proteins off store shelves, saying the goods had to be tested before they can go back on sale. 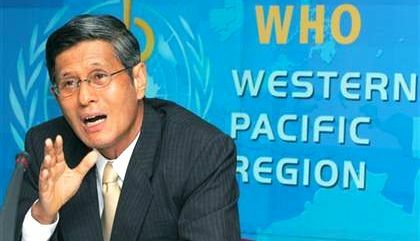 "We feel extremely painful about the damage that the milk powder brought to people in Taiwan. 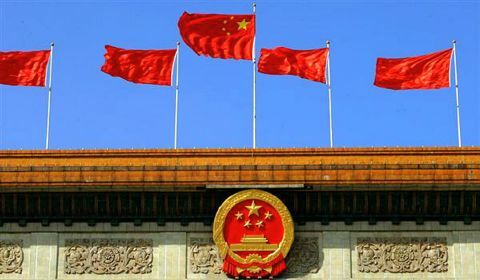 Our government attaches great importance to it and is taking a series of measures to minimize the damage and influence," said Li Weiyi, a spokesman for the State Council Taiwan Affairs Office. 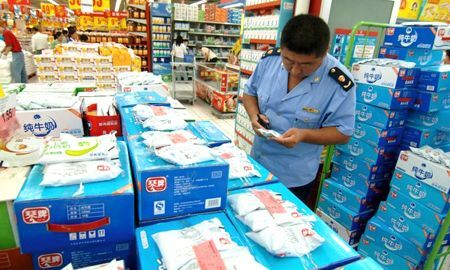 The Health Ministry, Shi Guizhong, said that Yili was among the 22 companies whose products were recalled for melamine contamination. The dozen arrests throughout the province brought the total in custody to 18. 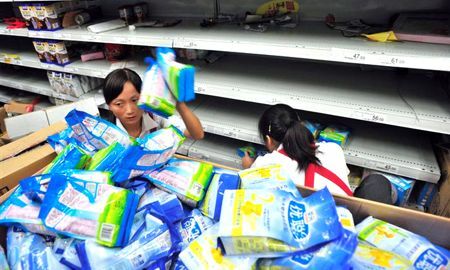 He said most of the sick children consumed baby formula produced by one company, the Shijiazhuang Sanlu Group Co. 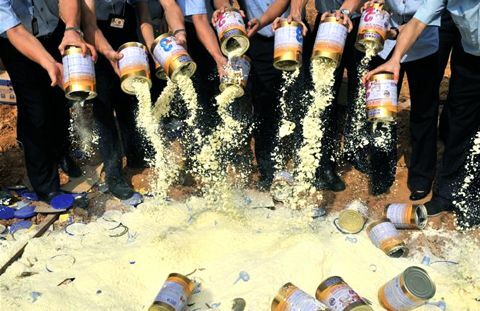 The party chief of Shijiazhuang, capital of north China's Hebei Province, was sacked on Monday over the tainted milk powder scandal. The decision — dismissal of Wu Xianguo from his post and the membership of the party — was made by the CPC Hebei Provincial Committee. The provincial party committee said Wu did not properly deal with the delayed reporting on dairy producer Sanlu Group over the incident and thus should share responsibility. Singapore’s Agri-Food and Veterinary Authority, known as AVA, recalled White Rabbit candies earlier this week and said Wednesday that more Chinese-made food had tested positive for melamine, including Dutch Lady-brand banana and honeydew flavored milk, Silang-brand potato crackers and two kinds of puffed rice balls. The crackers and rice balls listed milk as ingredients. The Food and Drug Administration said the products were recalled by King Car Food Industrial Co Ltd "due to possible contamination with melamine." 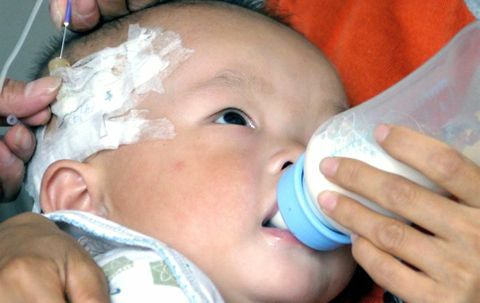 Infant formula tainted with the industrial chemical has resulted in hospitalization for thousands of Chinese babies with painful kidney stones. Four have died. The Beijing authorities clames that the death of four babies were cause by industrial chemical made its way into China’s dairy supplies, which has turned up in numerous Chinese-made exports abroad — from candies to yogurt to rice balls. 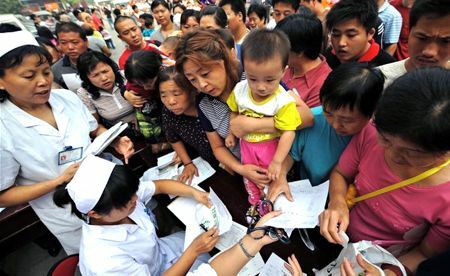 Chinese baby formula tainted with the chemical has been blamed for the illnesses of 53,000 others in China. 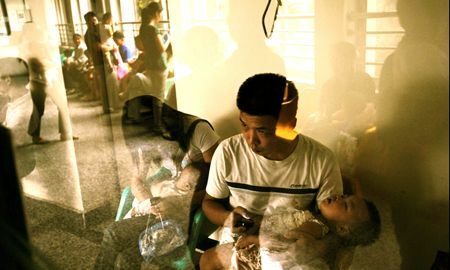 Four infants have died and 104 of the hospitalized children are in serious condition. More than 80 percent of the 12,892 children hospitalized in recent weeks were 2 years old or younger, the Health Ministry said. Another 39,965 children received outpatient treatment at hospitals and were considered "basically recovered," the ministry said. 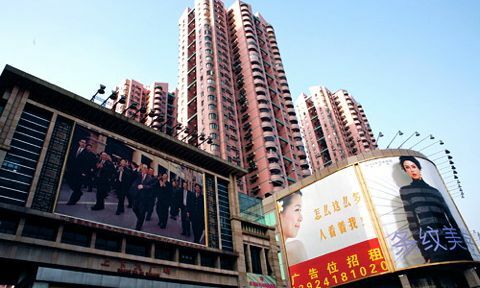 Regarding outside of mainland China, the Chinese territory of Hong Kong reported the first known illness — a 3-year-old girl who developed kidney stones after drinking Chinese dairy products — over the weekend. 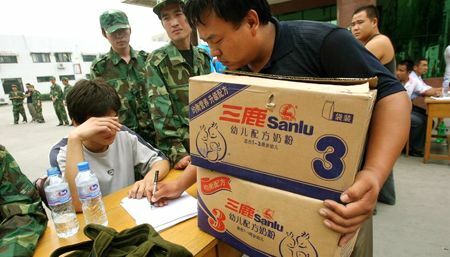 The hospitalized children basically consumed Sanlu brand infant milk powder. Health experts say ingesting a small amount of melamine poses no danger, but it can cause kidney stones and lead to kidney failure. Infants are particularly vulnerable. 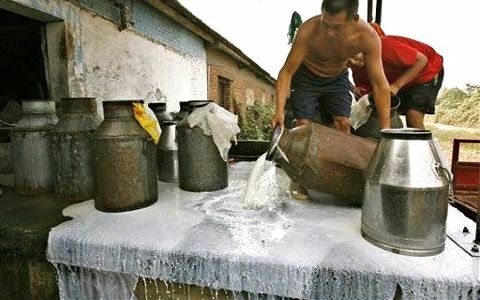 Some of the farmers who sell milk to Chinese food companies are thought to have used melamine in order to disguise the watered-down milk and increase the profit margins which has been hurt by rising costs for feed, fuel and labor. British supermarket chain Tesco removed Chinese-made White Rabbit Creamy Candies off its shelves as a precaution amid reports that samples of the milk candy in Singapore and New Zealand had tested positive for melamine — an industrial chemical used to make plastics and fertilizer. 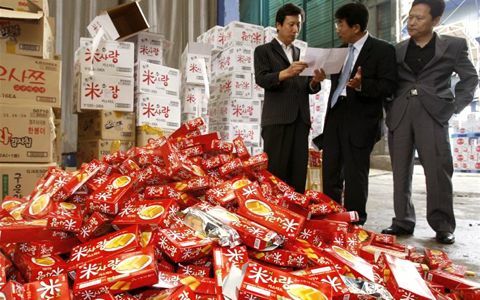 More than a dozen countries have banned or recalled Chinese dairy products — the latest was France which does not import Chinese dairy products but has halted imports of Chinese biscuits, candy or other foods that could contain Chinese dairy derivatives. The government described the measure as a precaution. U.S. regulators warned the public on Friday not to consume seven Mr. Brown instant coffee and milk tea products that were made in China because of concerns they may be contaminated with melamine. FDA said White Rabbit candy has been added to its list of products being inspected at ports of entry, but that no melamine-tainted goods from China of any sort have turned up yet. 7. 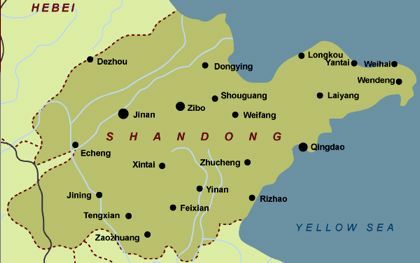 U.S.: FDA bans of Shandong Duqing Inc. 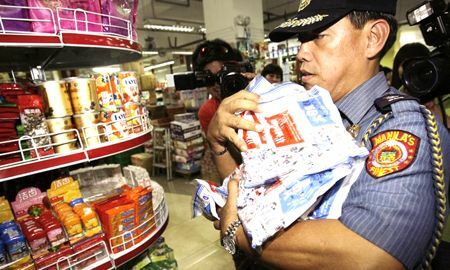 Nonetheless, some ethnic grocers started removing the popular candies from their shelves. The products were manufactured by China's Shandong Duqing Inc., the FDA said. The agency also warned consumers not to eat White Rabbit Creamy Candy after New Zealand authorities reported melamine contamination "at high levels." The FDA urged retailers and food service operators to remove all of the products from sale or use. The agency said it was not aware of any illnesses in the United States from the candy or the coffee and tea products. 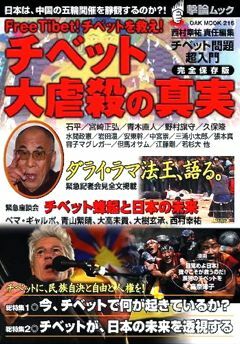 Also in overseas, the dairy is at the center of the scandal. The maker has recalled its exports of the candies to more than 50 countries and stopped domestic sales in China. 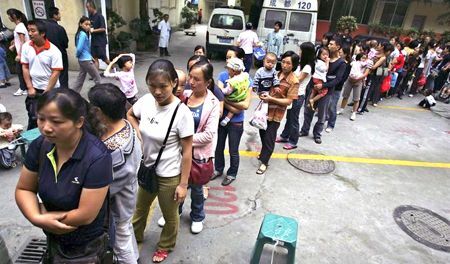 SHANGHAI — The death toll from a highly infectious virus that preys on children rose to 24 Sunday as it spread to a new province amid heightened efforts by China's Health Ministry to contain it. 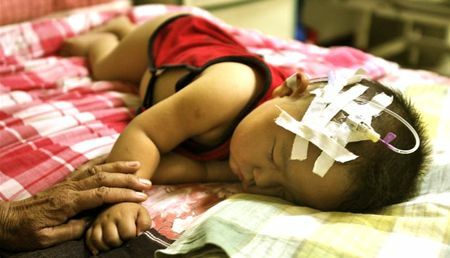 The official Xinhua News Agency said an 18-month old boy who died in Foshan city in Guangdong province Friday had enterovirus 71, known as EV-71. Another child who died in the same district on April 25 also tested positive, it said. 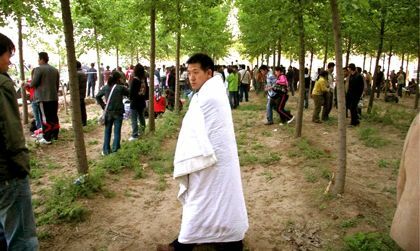 The deaths follow 22 already reported in central Anhui province, 1,000 miles to the north. More than 3,000 have been infected. 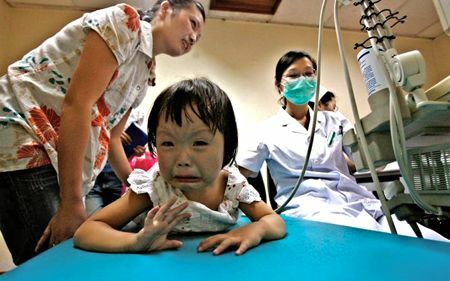 The outbreak of enterovirus 71 — a type of hand, foot and mouth disease that children are susceptible to — is another headache for the communist government as it prepares for the Olympic Games, already tarnished by unrest among Tibetans in western China and an international torch relay disrupted by protests. 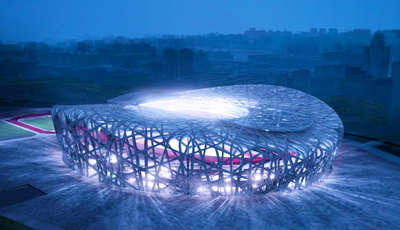 China ordered authorities on Saturday to tackle the disease aggressively ahead of the Beijing Olympics. 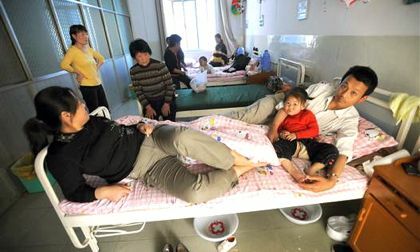 "Our doctors will leave hospitals to find potential patients rather than sitting in the hospitals to wait for them," deputy health minister Liu Qian told state television in the worst-hit area, Fuyang city in the eastern province of Anhui. The Ministry of Health said cases of the disease might increase in coming months because its peak season was in June and July. 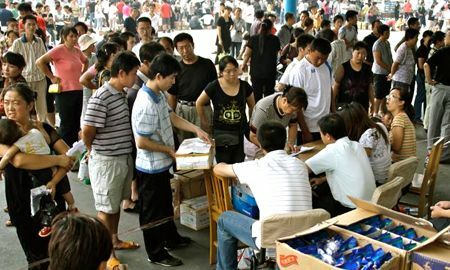 Cases in some Chinese provinces, as well as Taiwan and Singapore, are running above year-ago levels, it said. It ordered health authorities across the country to report all cases within 24 hours and step up controls ahead of the Olympics in August. 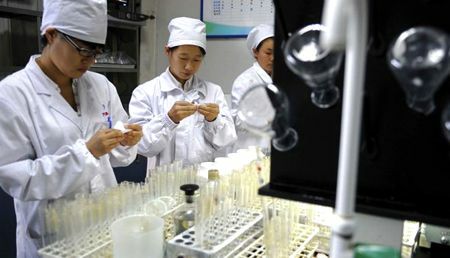 Officials will visit nurseries and primary schools to educate staff on hygiene and prevention steps, and Chinese scientists will increase research into the disease. 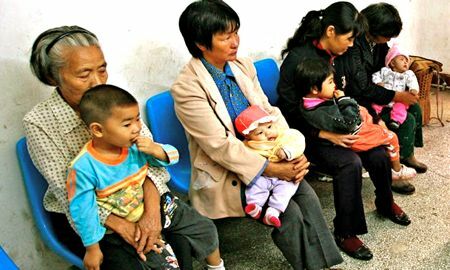 In Fuyang, 22 children have died from hand, foot and mouth disease and 3,321 have been infected. Fifty-eight are critically ill or in a serious condition, the ministry said. 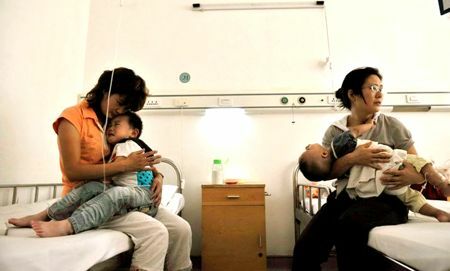 State television showed pictures of anxious mothers bringing their children to hospital and of frightened children lying in hospital beds, one of them with bandages around his head. 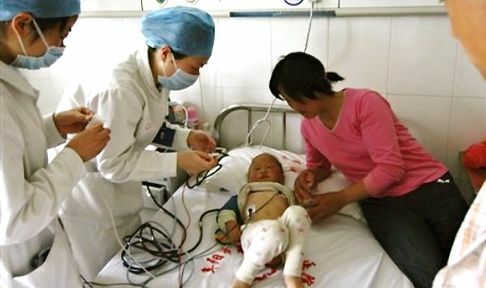 The ministry said special equipment was being installed in children's wards of Fuyang hospitals to treat patients. Local authorities are strengthening supervision of food safety and water quality in an effort to stop the disease spreading. 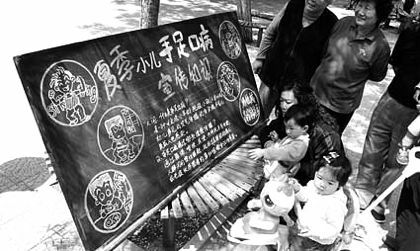 Kindergartens in Fuyang, which had been due to reopen on Monday after a holiday weekend, will stay closed until May 12. The disease began spreading in Anhui in early March. But a delay in reporting it to the public until last weekend triggered heated discussion and criticism in the Chinese media, which said local government officials should be sacked. 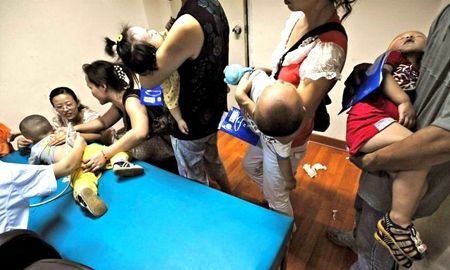 Health officials say there was no cover-up in Anhui and the reason for the delay was that medical teams were trying to work out what the illness was. 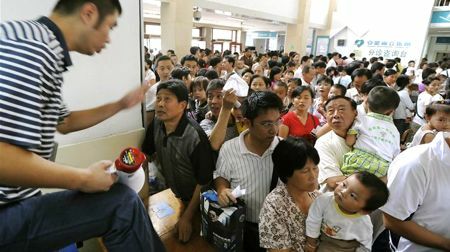 An initial cover-up of the SARS epidemic in 2003 led to the sacking of Beijing's mayor and the health minister. 7. How can this virus turn deadly? Hand, foot, and mouth disease, characterized by fever, sores in the mouth and a rash with blisters, is a common illness among infants and children and is usually not fatal, according to the National Center for Infectious Diseases in the United States. 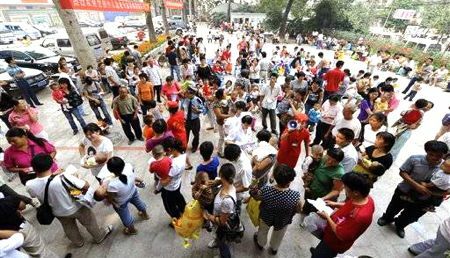 The cases in Fuyang were caused by infection with the enterovirus 71, or EV71. 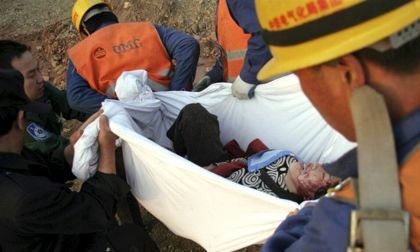 Complications due to EV71 were responsible for the deaths in Fuyang, the World Health Organization said on its website. Continued from the previous issue — Seventy of the 416 people injured in the crash were in critical condition in hospital, according to Xinhua. No foreigners were among the dead. Injured survivors included four French nationals, a Chinese national sailing team coach and a 3-year-old boy. The woman, who had layers of gauze wrapped around her permed hair, said the crash lasted about one minute. "I crawled out of a window. Anywhere there was space to get out, people were trying to get out," she said. One middle-aged woman said she was lucky she was awake when the accident happened. "I was awake, I just got back from using the bathroom," said the woman, who would not give her name because her relatives did not know she was hurt. 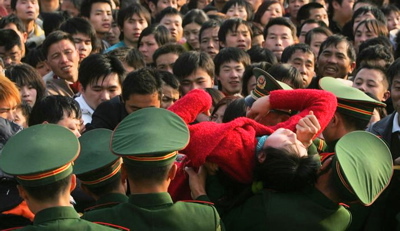 "People who were sleeping, they got crushed to death and wouldn't even know it," she said at the Zibo Central Hospital. 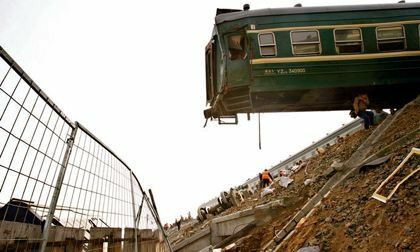 When the train to Qingdao — site of the sailing competition during the Summer Olympics — derailed nine of its carriages were knocked into a ditch, Railway Ministry spokesman Wang Yongping said in a statement. 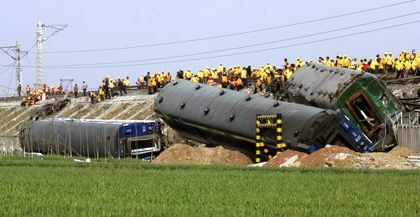 The second train, on its way from Yantai in Shandong to Xuzhou in eastern Jiangsu province, was knocked off its tracks although it stayed upright. Xinhua said both the director of the Railway Bureau in Jinan, the provincial capital and nearest big city, and the bureau's Communist Party Secretary, were sacked after the crash, and they face an investigation by the Ministry of Railways. 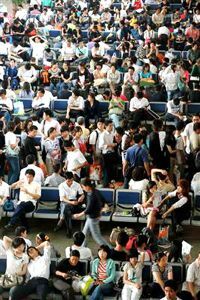 It was the second major railway accident in Shandong this year. 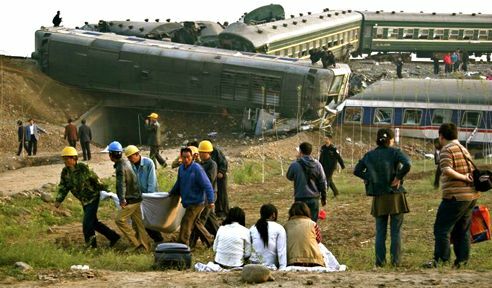 In January, 18 people died when a train hurtling through the night at more than 75 mph slammed into a group of about 100 workers carrying out track maintenance near the city of Anqiu. 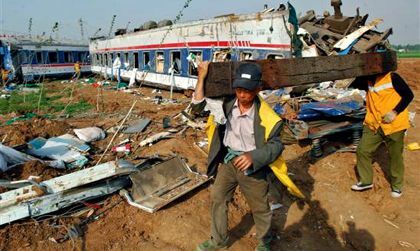 The accident was the worst train crash in China since 1997, when another collision killed 126 people. Trains are the most popular way to travel in China, and the country's overloaded rail network carried 1.4 billion passengers last year. While accidents are rare, the government is trying to extend and upgrade the state-run rail network and introduce more high-speed trains. 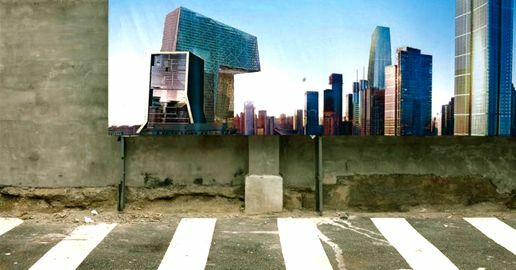 The crash happened just before the May Day weekend holiday. 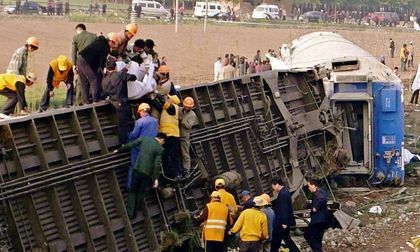 ZIBO, China — Speeding was blamed Tuesday for causing China's worst train accident in a decade that killed at least 70 people and injured more than 400. 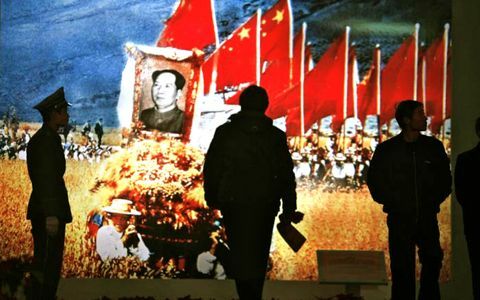 The finding was delivered by an investigation panel set up by China's Cabinet, the State Council, according to the official Xinhua News Agency. 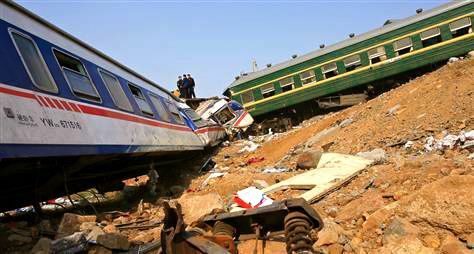 It came just a little more than 24 hours after two trains collided in Shandong province in eastern China. The investigation showed a Beijing to Qingdao passenger train was traveling at 81 miles per hour before the accident — far over the section's speed limit of 50 mph, Xinhua said. The train jumped its tracks and collided with an oncoming passenger train on another track. The government has already sacked two railway officials over the accident. Xinhua did not say if the engineers of the trains had survived the crash, or if they were being held as part of the investigation. Local officials in Zibo city, where the accident happened, held a news conference Tuesday to give a glowing review of the emergency response, praising rescuers who rushed to the accident site and a doctor who worked more than 30 hours without rest. 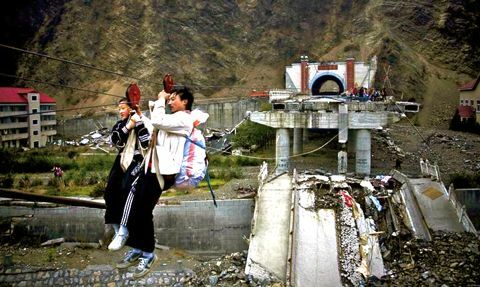 The central and provincial governments "do not need to worry and the victims, their families and people from all walks of life are satisfied," said Liu Xinsheng, deputy secretary-general of the Zibo city government. 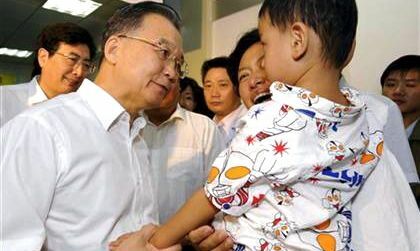 Liu said the local government was covering all medical expenses of the injured for the time being. "We won't let financial issues affect their medical treatment," he said. No other information was released. Liu and other officials at the news conference refused to take questions. The railway line was reopened to traffic Tuesday after work crews used heavy cranes to clear the tracks of damaged rail cars. BEIJING — Chinese police killed alleged terrorists plotting to attack the Beijing Olympics, while a flight crew managed to prevent an apparent attempt to crash a Chinese jetliner in a separate case just last week, officials said Sunday. 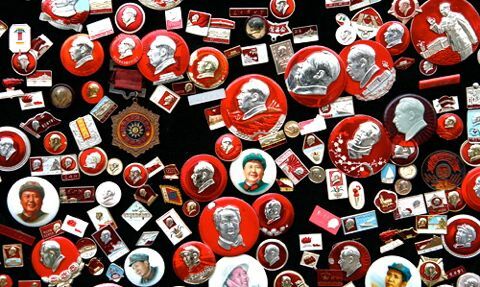 Wang Lequan, the top Communist Party official in the western region of Xinjiang, said materials seized in a January raid in the regional capital, Urumqi, had described, "a plot with a purpose is specifically intended to sabotage the staging of the Beijing Olympics. 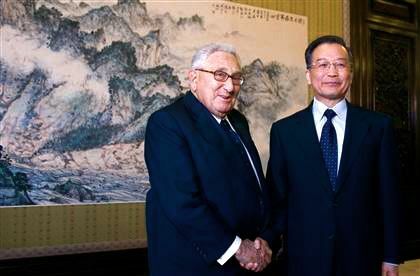 Their goal was very clear,” Wang told reporters in Beijing. Wang cited no other evidence and earlier reports on the raid had made no mention of Olympic targets. 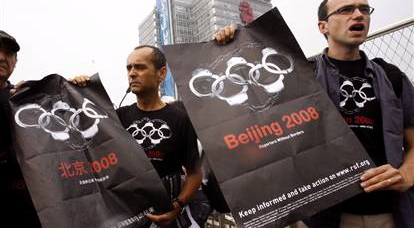 China has ratcheted up anti-terror preparations before the August Games. The nation’s top police official last year labeled terrorism the biggest threat facing the event. Police found guns, homemade bombs, training materials and “extremist religious ideological materials” during the Jan. 27 raid in Urumqi, in which two members of the gang were killed and 15 arrested, according to earlier reports. Also the raid on plane-crash attempt was released during a meeting of Xinjiang delegates to parliament’s annual session that focused in part on terrorism. In the meeting the governor of Xinjiang, Nur Bekri told that a flight crew member prevented an apparent attempt to crash a China Southern Airlines flight from Urumqi on Friday. 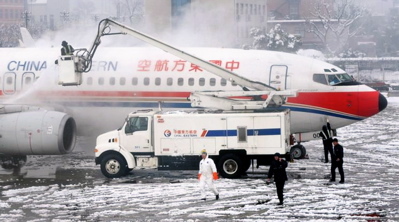 Bekri said the crew responded and brought the plane to an emergency landing in the western city of Lanzhou at 12:40 p.m. with no damage or injuries. More than one suspect was involved, but the group behind the attempt is under investigation. 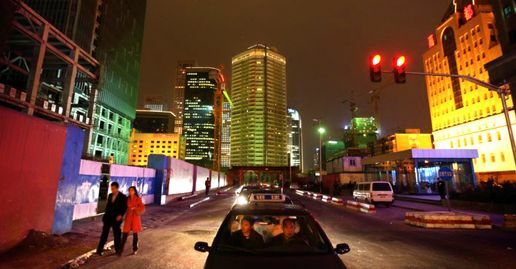 Chinese forces have for years been battling a low-intensity separatist movement among Xinjiang’s Uighurs, a Turkic Muslim people culturally and ethnically distinct from China’s Han majority. 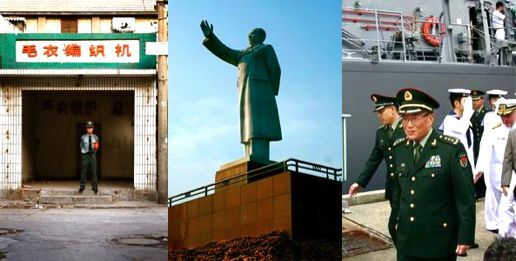 Iron-fisted Chinese rule has largely suppressed the violence, however, and no major bombing or shooting incidents have been reported in almost a decade. 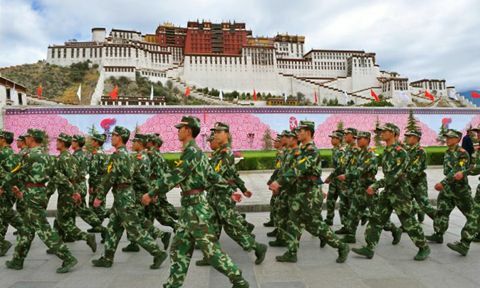 Wang said the group had been trained by and was following the orders of a Uighur separatist group based in Pakistan and Afghanistan called the East Turkestan Islamic Movement, or ETIM. The group has been labeled a terrorist organization by both the United Nations and the United States. East Turkestan is another name for Xinjiang. 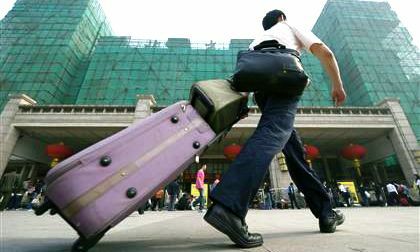 China says its main terror threat comes from ETIM. Although the group is not believed to have more than a few dozen members. 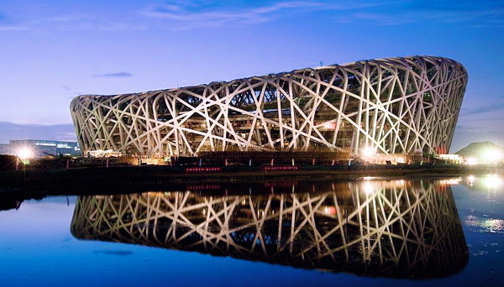 BEIJING, China — Beijing’s pollution is increasing the likelihood some Olympic events may be postponed, though special restrictions may help keep the skies clean, the International Olympic Committee said Thursday. 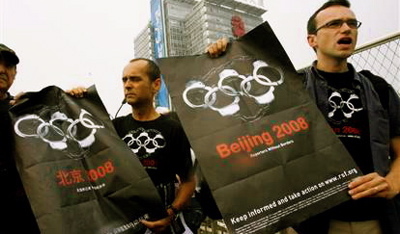 With less than 10 months to go before the 2008 Olympics, air pollution emerged as one of Beijing’s biggest headaches. A report by the United Nations Environment Program criticized Beijing’s cleanup as slow, noting some pollution exceeded World Health Organization standards. 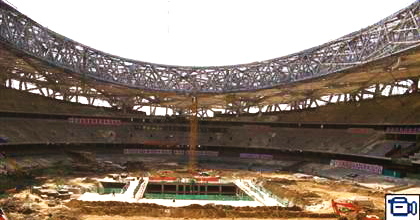 In an overall positive assessment of Beijing’s preparations, an IOC inspection team said air quality was a major concern and it was monitoring the situation. 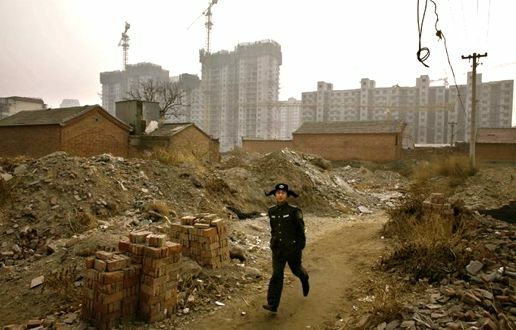 China has one of the world’s fastest-growing economies, but its cities pay for it with choking pollution. 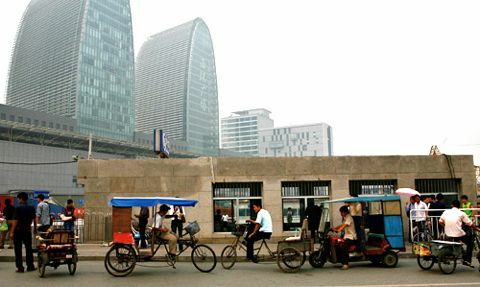 Beijing is often blanketed by a gray haze, some from coal-fired industries, others from the soaring numbers of cars. “Extensive use of coal, the city’s geographical location and a growing number of motor vehicles means the pace of improvement in Beijing’s air quality is slow,” said Eric Falt, who heads the U.N. 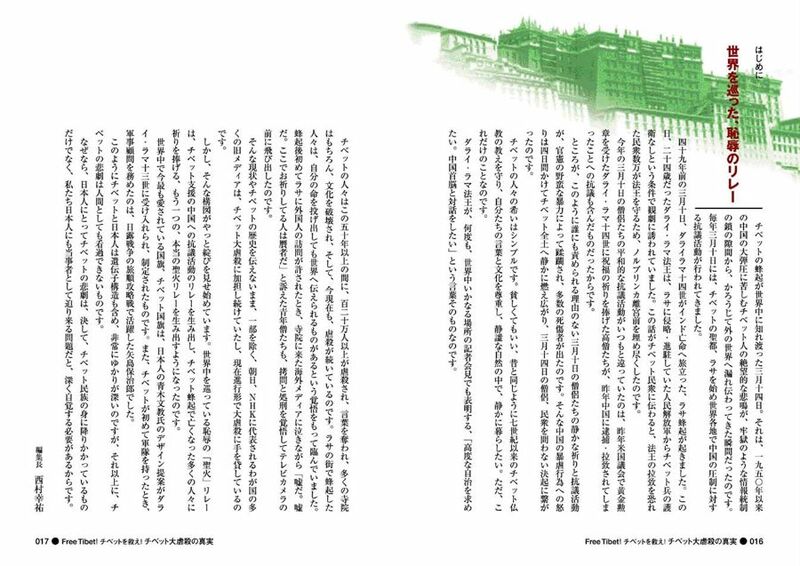 Environment Program’s sports and environment project. Falt said small particulate matter — fine particles of pollution that can easily pass into people’s lungs and harm health — were “particularly worrying.” The U.N. report found that the average level of small particulate matter in Beijing’s air in 2006 was eight times higher than the level recommended by the World Health Organization. Other forms of air pollution — sulfur dioxide, nitrogen dioxide and carbon monoxide — rose or failed to drop in 2006 following three years of decline, according to the report, which was based on Chinese government statistics. 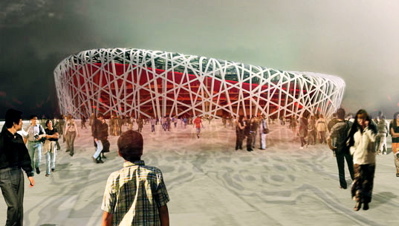 “(China) never committed to reaching those specific WHO standards within the time frame of the games,” Falt said. Beijing’s Olympic organizers have said contingency measures, such as the selective banning of cars or temporary closure of factories, will have to be used to clear the skies — pledges that were reiterated by officials Thursday. The U.N. report was generally positive about other environmental aspects of the preparations, praising the Beijing organizing committee’s efforts in waste management, transportation and water treatment. Solar power will be used at venues and the Olympic village, and organizers have made an “extraordinary achievement” in avoiding chemicals that damage the ozone layer, the report said.